From left: Living Legends of Alexandria founder Nina Tiara, summer principal for Patrick Henry Elementary School Seazante Oliver, and book artist Sushmita Mazumdar at the Open House. 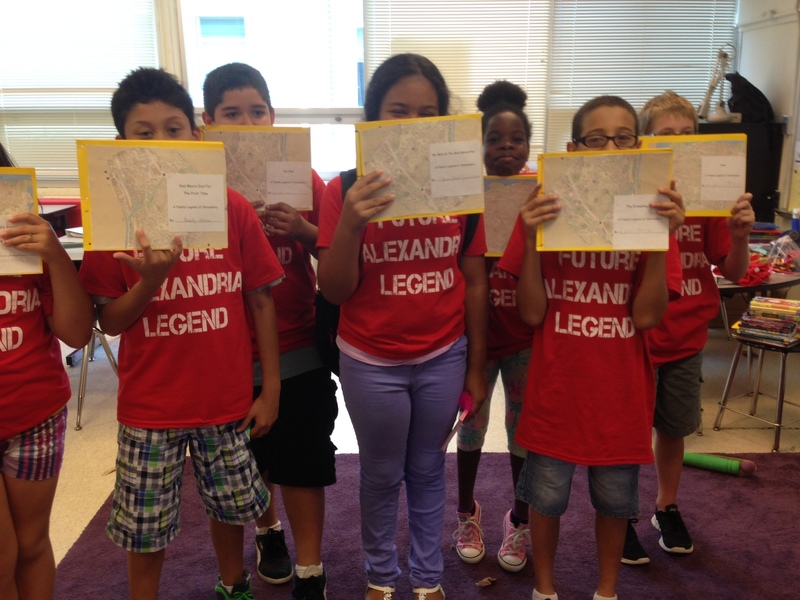 July saw the four-week Summer Enrichment Program for Alexandria City Public Schools end with great enthusiasm! One of the programs offered was Family Legends of Alexandria bookmaking workshop, which I taught as an artist-in-residence. The Family Legends program is part of an ongoing project called Living Legends of Alexandria, where individuals or everyday folks who have done something substantial to improve the quality of life in Alexandria are nominated as Living Legends. They are then photographed and interviewed so the city always has a record of their contributions. Inspired by that, I interviewed a Living Legend, Lynnwood Campbell, and asked him for the story of The Lady on the Bus, a story from his youth which I found in his interview in the Living Legends catalogue. The interview was from a questionnaire I had developed which would be given to students. 240 students met me for assembly at 2 schools and learned why I started writing down real-life family stories and making them into books by hand. Later, they saw the interview and used the questionnaires to interview their family members to find their own Family Legends. Via more of my videos, they learned how to turn interviews into a rough draft, and rough drafts into final pages of a book with an illustration and a page for the author’s bio, for which, Nina Tisara, a Living Legend herself, had taught the students a session on photographing portraits. Then I went in to help students bind their books and add the Alexandria city maps to the covers. That is where they mark the spot where their family lives and where the Legend lives on. On the final Open House day we were greeted with a great surprise—all the teachers and staff were wearing t-shirts that said “I Teach Future Alexandria Legends” and the students wore ones that said “Future Alexandria Legend.” We heard some amazing stories sitting alongside parents and families. Some wiped tears as others video recorded their children reading the stories aloud. 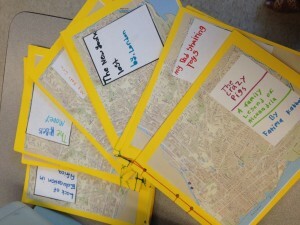 Some students were so brave to share really difficult stories and many high-fives and hugs were exchanged. 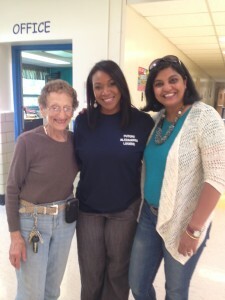 Read more in the Alexandria News: Hailed a Success! And see pics of T-shirts in Local Kicks here. See more photos on the Handmade Storybooks Facebook page.